Ada Goth is the only child of Lord Goth. The two live together in Ghastly-Gorm Hall. Lord Goth believes that children should be heard and not seen, so Ada has to wear large clumpy boots so that he can always hear her coming. This makes it hard for her to make friends and she's rather lonely. Then one day William and Emily Cabbage come to stay at the house, and together with a ghostly mouse called Ishmael they and Ada work together to unravel a dastardly plot! Chris Riddell is the 2015-2017 UK Children's Laureate. His books have won a number of major prizes, including two Kate Greenaway Medals. 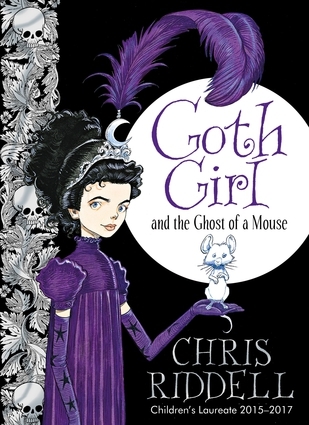 Goth Girl and the Ghost of a Mouse won the Costa Children's Book Award 2013. He is the coauthor of the bestselling series The Edge Chronicles, and the author of the Ottoline series.